Dance Force has quickly become a leading studio in Australia as we seek to provide students with the best tutoring and courses and assist students in successfully securing work in the industry. We pride ourselves on having a large percentage of graduates working in the industry after graduation from our full-time dance courses. We only accept limited students so that each individual receives the personal attention they need to ensure they achieve their individual goals. Industry Fridays. Dance Force Students get the privilege of an interstate guest teacher being flown in weekly. This allows students to make valuable industry connections as well as learn from the choreographers’ wealth of knowledge and experience. We are the only commercial full-time course that has a tour. Not only does this give students a learning experience like no other, but their talent is seen by agents and potential employers from all over the country, providing even more opportunities for them to be employed following graduation. This was extremely successful in 2017 and we are planning an even bigger and better tour this year! 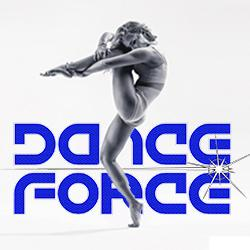 This is an opportunity you will only get at Dance Force!